While addressing a seminar on technology for teachers a couple of years ago I was asked as a child psychologist about the place, if any, of screen time for children under the age of four. Based on my reading of the literature, I recommended little or no screen time for young children. However, as a new grandparent of a grandchild more than 500 miles away I thought to hedge my recommendation with a caveat: there was no problem with using Skype, FaceTime or similar technologies for interaction between grandparents and their grandchildren. I am glad I hedged. We have regularly Skyped with our grandson Coles (and his parents, of course). We have engaged in the usual undertakings recommended in GRAND and other outlets, including conversations, activity reports, and reading books ( and most recently being “read” to by now 3-year old Coles). But the heart of our screen time together has been much more active. My wife Judy carefully saved our three children’s toys in the attic, including the whole catalog of Fisher Price sets (barn, car garage, house, school, airport and airplane). When it became clear that we were not going to hold Coles’ attention very long with simple conversations, Judy decided to show him the toys. For the past year we have shared in weekly or even twice-a-week dates with Coles and the toys. The sessions begin with an evening invitation to Skype from our son Robert, often at Coles’ request. Coles’ parents have taught him to adhere to some pleasantries before requesting the toys. He often recounts his day, but soon says with no pauses between phrases: “how was your day my day was good toys please.” We tell him which toys are currently down from the attic, he makes a choice, then the play goes on, typically for 15 minutes or more. Recently Coles visited us for the first time since the play sessions began. His play with toys that had heretofore been available only on screen increased dramatically in complexity. Most clearly added were extended dialogues between the dudes with voices ranging from very high to very deep in pitch. While visiting, Coles sometimes invited his grandparents or aunts into his live play sessions, but really preferred solitary play with us as onlookers. In our distance sessions since Coles returned home we have noticed some differences in our play. It is even more complex. Specifically, language has a much greater role. Coles now asks one of us to make the dudes say something (“make the green dude tell the mama dude to drive the car”) or adds in dialogue himself using different pitches for different dudes. Coles is a few weeks older than he was prior to the visit, but it appears that these changes in his play are linked to his direct experience with the toys. More intimate involvement with the toys has allowed him to think about them in new ways. The famous Belarusian developmental psychologist Lev Vygotsky wrote a lot about how the tools of a culture, especially language, become facilitators and mediators of a child’s thinking. Perhaps Skype and its ilk have provided us with a new tool for aiding the child’s mastery of the world. 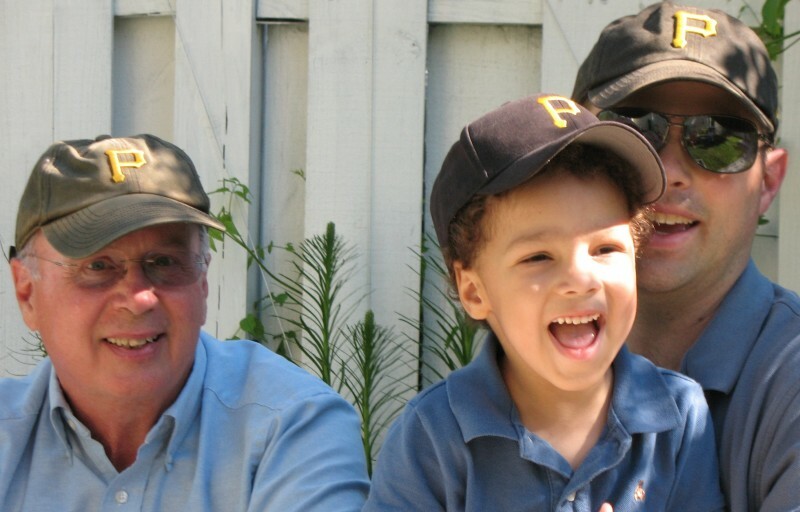 As grandparents, we look forward to having a small part in the development of Coles’ thinking, and, soon, the thinking of his little brother Davis. Bruce B. Henderson is a Professor of Psychology at Western Carolina University in Cullowhee, NC where he teaches courses in child development. He has a PhD in child psychology from the Institute of Child Development at the University of Minnesota. His published research has focused on the development of curiosity and the development of memory. He and his wife Judy live in Cullowhee. They visit Coles and Davis and their parents Robert and Deidre physically as much as they can. Skype does not yet afford hugs. 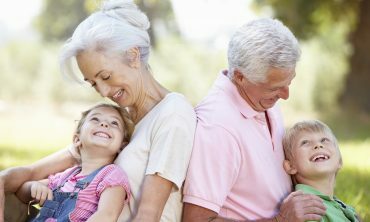 How Do We Celebrate Grandparents Day?